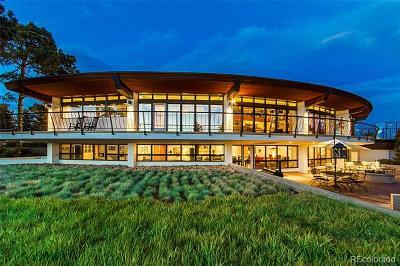 Truly special Karen Keating custom home with beautiful mountain views. All bedrooms have en suite bathrooms. Outstanding walkout basement that includes a home theater system, wet bar doubles as a mini-kitchen, temp-controlled wine/cigar storage. Stacked stone fireplace w/wood burning stove system. Enjoy the outdoors all year - covered patio, heated stone path to the hot tub just steps to the sauna. 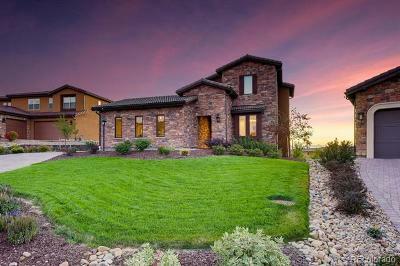 Soothing water feature, enchanting gardens and lower patio with fire pit. This well-executed unique floor plan provides many options for different interests & use. Flex spaces for art studio, craft or exercise. Even the dog has been thought of here - a heated apartment with access to outside dog run. 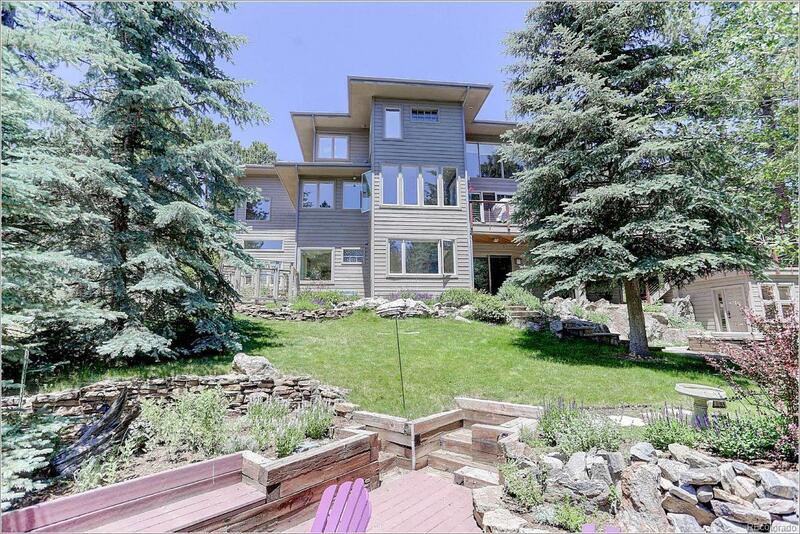 Master with impeccable 5pc bath enjoys a 2-sided fireplace and Mt Evans views! Gourmet kitchen w/top-line appliances is draped in Alder soft-close cabinetry, luxurious Quartzite and 3-sided fireplace. A butler pantry leads to the formal dining. Oversized 3 car attached garage.